Pioneer Insurance announces #MoveOnLang Songwriting Competition finalists - Hello! Welcome to my blog! After a rigorous selection process, ten talented student songwriters have been chosen as the finalists of Pioneer Insurance’s #MoveOnLang Songwriting Competition. 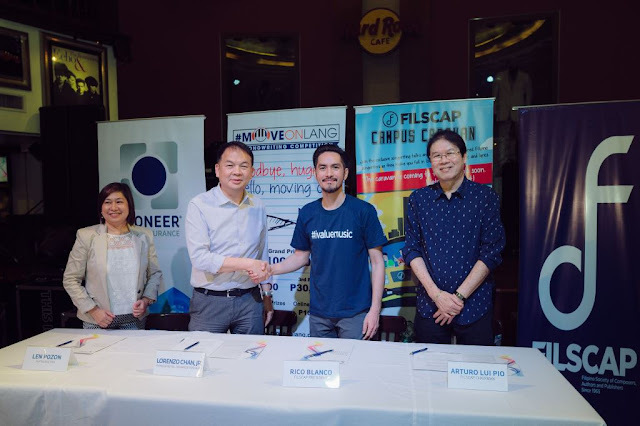 Pioneer Insurance launched the #MoveOnLang Songwriting Competition in partnership with the Filipino Society of Composers, Authors and Publishers (FILSCAP) to encourage the youth to pursue artistic endeavors and to celebrate the Filipino trait of resiliency. The songs cover a wide range of genres from straightforward pop to alternative pop, acoustic, and even electronic ballads. “We’re happy to have received such a variety of song submissions. It just goes to show that the next generation of Filipino musicians have much to offer,” said Pioneer’s Marketing Head Len Pozon. The public can listen and vote for their favorite songs at www.moveonlang.ph from January 4 to 23, 2017. The finalist with the most online votes will be crowned the Online Favorite and awarded a cash prize of PHP 10,000. The top ten entries will also be interpreted by performers during the Finals Night on February 2, 2017, at Hard Rock Café in Glorietta 3, Makati City, with live coverage on Pioneer Insurance’s Facebook Page, www.facebook.com/PioneerIsYourInsurance. A panel of judges will then decide the top three winners of the competition. 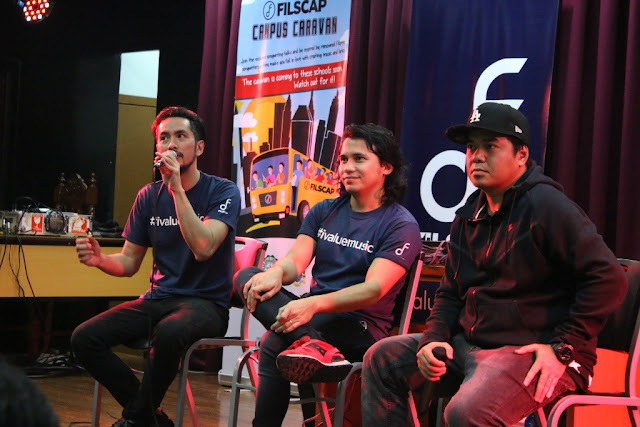 (From left) Pioneer Insurance Marketing FVP Len Pozon, Pioneer Retail Organization Head Lorenzo Chan, Jr., FILSCAP President Rico Blanco and FILSCAP Chairman Arturo Lui Pio at the launch of the #MoveOnLang Songwriting Competition last September 2016. The Grand Winner of Pioneer Insurance’s #MoveOnLang Songwriting Competition will bring home PHP 100,000, while the second and third placers will win PHP 50,000 and PHP 30,000 respectively. The remaining seven non-winning participants will receive a consolation prize of PHP 10,000. All finalists will be awarded PHP 100,000 worth of insurance coverage courtesy of Pioneer. A staunch supporter of the arts, Pion eer shares their message of hope through yearly competitions in various creative fields like filmmaking, playwriting, and this time, songwriting. To learn more about Pioneer Insurance’s #MoveOnLang Songwriting Competition, visit www.moveonlang.ph and www.facebook.com/PioneerIsYourInsurance.